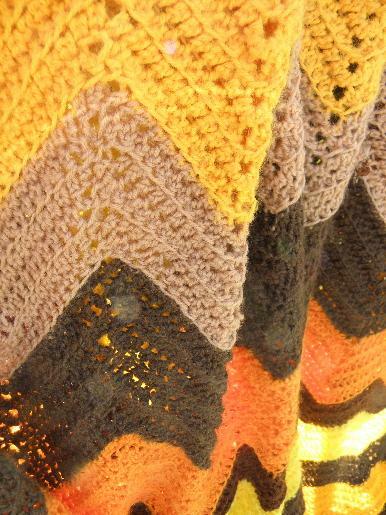 Vintage handmade chevron crocheted throw blanket, all acrylic yarns in brown, orange and gold shades. 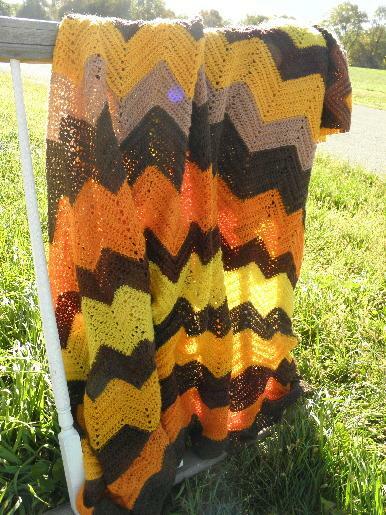 This is soft and cozy, in very good shape without damage. It's a nice big one - measures 78" x 92".